For a limited time, the cost to send an offer to a homeowner using Remzy costs $10. That’s it! 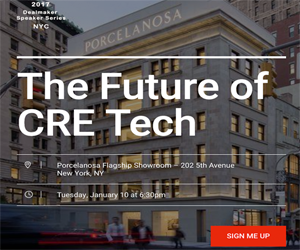 It seems a new real estate tech company is launched from Silicon Valley every day. The recent valuations of OpenDoor, OfferPad, and Knock have investors financially backing some amazingly disruptive ideas. Many of these innovations tend to cut real estate agents out of the transaction. On the contrary, Remzy thinks unlocking more inventory for brokers and agents is the key to long-term success. At any given time in the U.S., 98% of the available inventory is off the market. In areas with low inventory, Remzy provides the homebuyer with more options. Remzy wants homebuyers to know that just because the house is not for sale, does not mean the homeowner wouldn’t be interested in selling if the price was right. It started with a knock on a door. Remzy founder, David Marc Harris, explains, “My parents moved to Miami Beach, Florida from Englewood, New Jersey in 1977. After about a year of looking for a house to buy, my dad fell in love with a house on Lakeview Drive. The problem? It wasn't for sale. So, one day, my dad was riding his bike in the neighborhood and decided he had to know if the owners of that home would ever even consider selling. He knocked on the door. The homeowners answered, and my dad quickly told them how much he and my mom loved the house, and if they ever wanted to sell it, to please call him. He gave them his number and a few weeks later, the owners did call. My dad made them an offer, negotiations were made, and my parents bought the home. Fast forward to today and almost 40 years later, if you want to try and buy a house that's not for sale, there's no safe and easy way to connect you with the Homeowner.” Until now. Remzy now offers a professional way to approach the homeowner on behalf of your buyer. When you know the address of the off-market home your buyer is interested in, enter it in the search and make an offer for a limited time fee of $10. Remzy will overnight the homeowner an easy-to-understand offer letter. Remzy provides the homeowner with a PIN number which they can use to connect with the agent online and via email. Best of all, an offer submitted through Remzy is non-binding and anonymous. Using Remzy, negotiate the purchase price directly with the homeowner either online, or arrange a face-to-face meeting. Agents use their existing tools to manage the entire transaction. At closing, the real estate broker’s commission is paid. Learn more about how Remzy works for real estate agents and brokers. Remzy is on Facebook, Twitter, Crunchbase, Angel.co and LinkedIn. Simply said, Remzy is disrupting the ever-changing landscape of real estate — without ever having to knock on a door.